Design thinking was cool in the 1990s and early 2000s. There were a lot of conferences talking about how important a “design mindset” was to business problems. I was lucky enough to be close to the center of this explosion in creativity within business. The UK Design Council ran a great conference in 2007. Even years later, the presentations still make powerful listening. These podcasts are from the UK Design Council who have published some great content over the years. You can browse their full collection her. To save you time, I’ve listened to all of them and have chosen the top 5 that I would put on the ipod/itrip for a roadtrip with a boss that knew nothing about design but was willing to listen. They also make great email fowards because you can download them and pass them (or the link) onto a colleague to listen to themselves. What’s the connection between termites and architecture, candy and computers, between sneakers and Hummer and techno music and Martin Luther King? The answer, according to Frans Johansson, lies in the Medici Effect. Find out what he means. 3. InterSections 07: What can design bring to strategy? Design strategy is a growing sub-discipline of design. The panel ask what strengths designers bring to strategy building and what new skills they might need to acquire? As design makes inroads into business, public services and policy, it has developed greater ambitions. What are design’s merits and limits? How far can design go? James Woudhuysen firmly believes in the principles of universalism, humanism and rationalism. Where does design fit into management thinking? What is the role of the designer in the modern economy? Sir George Cox, Design Council Chairman and Dr Andrea Siodmok, head of its Design Knowledge team. 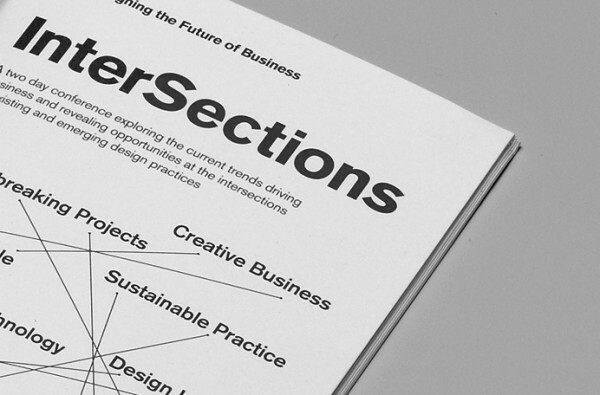 Previous Previous post: How far has the economic case for design come?